Have you ever been caught betwixt two courses of action, both of which had profound implications morally, monetarily, socially, or physically, only to find yourself paralyzed? I’ve been there. Recently I had the opportunity to purchase a barely used front-loading washing machine. This machine sold at retail for over $600. It was offered to me for $350. The seller found a bird in his hand rather than chase the ones in the bushes – me. You could describe my situation as a valley of decision. I say valley, because I needed to climb up and out in order to move on, before progress could be evidenced. Instead I sat there. The seller never saw my head clear the valley rim. What other things am I in a valley of decision about? Am I still vacillating about obeying traffic laws? Am I guarding my eyes like a savage warrior, or do I allow the occasional visual dalliance to cross my optic nerves? Do I invest regular time getting to know God, or is he a casual acquaintance who hopefully understands my busy schedule? Do I keep putting off work assignments hoping that they’ll eventually become irrelevant or forgotten? Just like the washing machine deal, there is a day coming when it will be too late. And we don’t know when it is. But it is much closer than we think, it will soon arrive. Thousands upon thousands will feign surprise. But in reality they have already chosen. For you see, in the verse above, the Hebrew word translated as ‘decision’ is a past participle. It indicates that the decision has happened already. By going into the valley of decision, and staying there – waiting – the decision has been made. Not choosing is a choice. Heavenly Father, may I have the courage to reject Adam’s blood-line curse of passivity. Please give me wisdom when needed, and a holy boldness to seize whatever opportunities are presented. Please grant to me the strength to choose that which brings you pleasure, not my enemy. Help me to love you better and to choose you. In Jesus’ name, Amen. This entry was posted in My Posts and tagged Joel, obey God, wisdom on June 2, 2010 by tinybeetle. In reading the book of Judges I was reminded of a 1995 movie starring Sylvester Stallone. The movie was Judge Dredd. Below is an excerpt from a Wikipedia article about the movie. In 2139, people live in a single city, Mega City, ruled by The Council. Crime is dealt with by a special police force, Street Judges, who may act as judge, jury and executioner of criminals. The power of the Judges in this sci-fi tale sounds very similar to that of the biblical judges in the book of the same name. The following Wikipedia excerpt really was interesting to me. 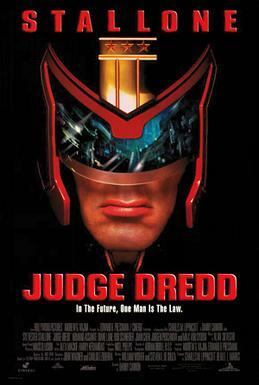 Dredd’s commander and mentor, Chief Judge Fargo, assigns him to teach a class in ethics at the academy where he tells the recruits they must be prepared to live in isolation until they take the Long Walk, a time when a retired Judge leaves the city and goes into the “cursed earth” to take the “law to the lawless”, those who live outside the city. Now paint this portrait biblically. Judges, typically quite alone, are assigned by God to go into the cursed earth to take the law to the lawless, those who live outside of heaven. Why did they need judges? Why did they sin so much? Why did they abandon God so easily and chase after other things and other Gods? For the answer I go to a New Testament book of the bible. What is causing the quarrels and fights among you? Isn’t it the whole army of evil desires at war within you? You want what you don’t have, so you scheme and kill to get it. You are jealous for what others have, and you can’t possess it, so you fight and quarrel to take it away from them. And yet the reason you don’t have what you want is that you don’t ask God for it. And even when you do ask, you don’t get it because your whole motive is wrong—you want only what will give you pleasure. The whole army of evil desires at war within them… Within us. So was there hope for the Israelites? Of course there was! So is there hope for us? Of course there is! The greatest honor we could ever be afforded is a place at our Lord’s table. And if we are his children, then we know that we have that place guaranteed. Father, may I humble myself daily before you. May I resist the Devil, May I draw close to you in prayer, reading, and in waiting. May I truly grieve and turn from any and all wicked ways. In Jesus’ name, Amen. This entry was posted in My Posts and tagged God, Judges, obey God, sin on April 12, 2010 by tinybeetle. An interesting thing happened in the sixth chapter of Judges, God took a nobody and made him famous. The Israelites were under the cruel oppression of several surrounding countries. In fact “Israel was reduced to starvation” according to the text. When we first encounter Gideon he is a nobody who is hiding down in a hole, threshing wheat, so that no one will know what he is doing. While there an Angel visits him and he receives an instruction that mystifies him. It must have seemed like a cruel joke, “Go with the strength you have…” What strength? He’s hiding. The angel tells him that the Lord will be with him, gives Gideon a demonstration of his power, then he disappears. Silence… until night-fall, when Gideon hears the Lord tell him to destroy the town’s altar to the false god Baal, and use the altar-remains to build an altar to God, and to sacrifice his father’s 2nd best bull on it. Incredibly, Gideon does it! I wonder if I would have responded the same? The towns people wake up, and they are ticked. They demand that Gideon be killed. Sounds reasonable to me. If I was a god and someone messed with my property, they’d be toast. But, I digress. Back to Gideon. An amazing thing happened at that moment. He lived. And he continued to live. In fact, as a result of not dying, he was renamed by the people. Gideon took on a god and lived! He was no longer a nobody. He was famous – about as famous as you can get. That is why when this former nobody called for warriors to join him in battle a little while later, they all came. The Lord knows how to promote those who are called and chosen. They only need to be obedient. Father, thank you for lessons from Gideon. May I be willing to do whatever you ask. In Jesus’ name, Amen. This entry was posted in My Posts and tagged father, Gideon, God, Judges, obey God, sacrifice on April 6, 2010 by tinybeetle. I have a pretty good overview of the Old Testament history of the Hebrews. Frankly if I was God I would have abandoned them and started over with a people a bit more receptive to obeying his commands. He certainly had plenty of nations to choose from. But no, he remained faithful even if they didn’t. However, he did discipline them. Since they wanted to live for themselves, God withdrew his protection and allowed natural consequences to take effect. Soon they were conquered by their enemies and enslaved. Once they experienced the discipline, the consequences of their actions, they cried out for relief. Funny how we always seem to remember God once we are in trouble, but never when we are getting into it. And the same sad story continues through the entire book. They do evil. God lets them have their way. They are overcome, they are enslaved. They cry for help. 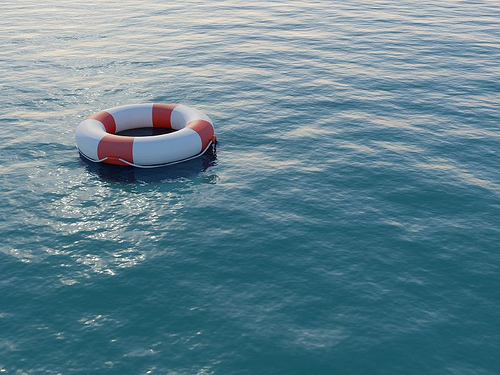 God sends rescue. Isn’t that our story? It is my story. If I was God, I would have abandoned me long ago and left me to rot. But he didn’t and he doesn’t. He considers me infinitely valuable. How do I know that? His Son Jesus created infinity and God allowed him to die to pay the penalty for all of my sins: past, present and future. He rescued me. Heavenly Father, please continue to create in me the desire to be holy. I want to love the things you love, hate the things you hate. Help me to see everyone through your eyes. In Jesus’ name, Amen. This entry was posted in My Posts and tagged bible, enemy, evil, God, Jesus, love, obey God, rescue, sin on March 5, 2010 by tinybeetle. In America we are so incredibly blessed, beyond what we deserve at this point, that we have replaced God with materialism. We don’t need anything, and therefore we don’t need God. Job described a similar situation. Just like the rich man in Job’s example, in our post-modern American culture we are often met with the same response when sharing the light of Christ. Sadly, these folks will find out that they did need a savior in the end. But then it will be too late to obey him. Father, may I not grow weary in showing others your way. Please help me to see with your eyes so that I never give up sharing the hope of Christ. In Jesus’ name, Amen. This entry was posted in My Posts and tagged Job, obey God, pray, rich on December 10, 2009 by tinybeetle. Job’s ‘friend’ Eliphaz the Termite brings up an interesting thought in his second response to Job. I had to ponder this one for a bit, God doesn’t trust the angels? So naturally I’ve done some digging. I looked up every reference to Angel or Angels in the New Living Translation of the Bible. Then I extracted those that might fit the Termite’s premise. I have to conclude that he appears to be correct. Ultimately the issue of trusting the angels is one of foreknowledge and predestination. We have no way of knowing what God knew or did not know about the fallen angels prior to their rebellion. Perhaps his omniscience works differently outside of our time-limited reality, I would be inclined to think not. But, we do know that there were incredible numbers of angels that chose to follow Satan, who are now awaiting their judgment. They did not prove to be trustworthy. If someone does not obey your directives can you trust them? Obviously the answer is no. Thus there are at least some angels that God cannot trust. If my past experiences and failures are any indication I would have to honestly answer, no. Father, I want to be trustworthy. Please forgive me for failing to obey those things that I clearly know I am supposed to be doing or not doing. And during those times of ambiguity, which are few, please let me clearly know what you desire of me. In Jesus’ name, Amen. This entry was posted in My Posts and tagged God, Job, obey God on November 30, 2009 by tinybeetle.